Driving a motor vehicle safely and efficiently is probably one of the most difficult skills that people will learn during their lifetime. It involves a wide variety of skills in the operation of controls, observation and planning. 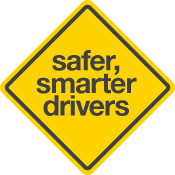 Driving also requires thinking skills in the assessment of risks, early detection of danger, applying the road rules and protecting your vehicle from others through the use of defensive driving strategies. In The Driving Companion, 'full control of the vehicle' means that the driver will demonstrate satisfactory use of the steering, brakes, accelerator, clutch (if applicable) and any other control ensuring that there is no unnecessary weaving, jerking, stalling or uncontrolled movement of the vehicle, or skidding of any wheel. Highly skilled and professional drivers show four basic characteristics in their driving as identified below. Compliance with road laws is the ability of drivers to understand the meaning of the road rules and to apply those laws correctly to their everyday driving. To improve your skills and knowledge on the road laws, refer to The Driver's Handbook regularly and discuss any points that are not clearly understood with your Instructor. Attitude is demonstrated by your willingness to abide by the road laws and your ability to safely cooperate with other road users with minimal interference to others. Your attitude to the driving task is solely your responsibility and others observe it in the behaviour shown by you when driving. Car craft inside the vehicle is the ability or skill of drivers to operate all controls of the motor vehicle in a smooth and competent manner enabling timely adjustment to the vehicle while maintaining full control. Obtaining professional instruction in this area will reduce wear and tear on the mechanical parts of the vehicle while improving the smoothness of ride for the passengers. Carrying out those driving plans competently and confidently in the most fuel efficient and environmentally friendly manner.